Trade Balance – is the difference between a country’s output and its domestic demand (the difference between what goods a country produces and how many goods it buys from abroad; this does not include money re-spent on foreign stocks, nor does it factor the concept of importing goods to produce for the domestic market). Capital Flow (TIC Net Long-Term) – is the bookkeeping report of the capital flow in and out of the country, it tracks the investment in this country and out of this country. A continuous negative number means no one is investing in the country. The higher it stays, eventually will drive down the currency value. Other news releases such as Consumer Sentiment, Consumer Confidence, Chicago PMI, and Empire State Business Index belong in a group of their own. Usually these news releases do not move the market much, unless the release number deviates from the forecast number by a huge difference… Then the rule of thumb is to always trade in the direction of the huge surprise. 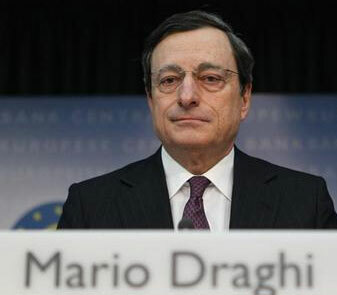 One important type of news releases that I cannot over-stress its importance is the speeches of Central Bankers. Central Bankers are the most important people in the Forex Market. They have the ability to move the market hundreds of pips with their speeches, and when they speak, market listens. Most of the time market will overreact to the speeches, and if you can learn to decipher their speeches, you can be the first mover in the market… It is not easy to trade their speeches, but once you figure out what they are talking about, you’ll learn something that only 5% of retail Forex traders know, and you will have a great advantage. Central Banker’s speeches have a set format, usually. They change a sentence of two from previous statements to reflect their current policy. If you just read the previous few statements, if would be very easy to notice the differences; and by comparing with past market reactions, you can decipher their speeches rather easily. All you need to do is spent a little time in research. As I said, fundamental news trading is not difficult. i discovered that the US and GBP NEWS is been control by alot of sentiment,apart from the news,pls why?and what is te best pair to trade.